In a recent Clean Language: Core Skills training event, Marian Way told us that in order to improve in Clean Language, you need to do your 'due diligence'. This was a term David Grove used often and what Marian meant by it was: do lots of practice, get feedback and learn from it. As the 20th anniversary of the London Clean Language Practice Group approaches, I was curious to understand a bit more about due diligence and to explore why practice might make a difference in helping me to improve my Clean Language skills. 1. 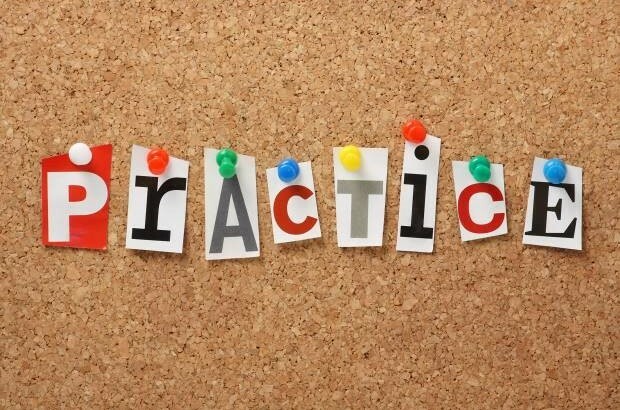 What is the value of practice? 2. What kind of practice is that practice? 3. How much practice is enough? 4. How can I practice Clean Language? The 10,000-hours research can be found in a 1993 paper written by K. Anders Ericsson, called The Role of Deliberate Practice in the Acquisition of Expert Performance. This highlights a study of the practice habits of violin students in childhood. In the study, all students began to practise at the age of 8 and started to take lessons. By age 18, the elite/best performers had averaged more than 7410 hours of practice, rising to over 10,000 hours at the age of 20. By contrast, the average performers had only done approximately 3000 hours of practice by 18 and 4500 by the age of 20. Ericsson concluded that many characteristics once believed to reflect innate talent are in fact the result of intense practice extended for a minimum of 10 years. Perceives more: Sees patterns, makes finer discriminations, can interpret situations more quickly and as a result make faster, more accurate decisions. Knows more: Has more facts and details available, has more tacit knowledge and an unconscious “know how” that only comes with experience. Has superior mental models and rich internal representations of how things work and how knowledge is connected which is used to learn and understand situations more rapidly. Uses personal networks more effectively and knows who to go to for help. Sets goals and can evaluateown skills against a standard and make corrections and adjustments more quickly from feedback. I really like the sound of that! My obvious conclusion from all this is that I will be far more useful as a Clean Language coach if I practice and aim to become an expert. This will enable me to get better results for me and my clients. OK - so does it mean that due diligence is about practising lots of times? The short answer to that is “No”. Ericsson states that it isn't just frequency of practice but also the quality of practice and getting feedback that matters. Ericsson calls this 'deliberate practice', which requires a specific, and sustained effort to learn something new. Tom Gram summarises the key requirements for practice to be deliberate. This all sounds a bit exhausting! When do I stop? I was discussing this with my husband and he reminded me of a book we used to read for the children when they were young. Jonathan Livingston Seagull by Richard Bach tells the tale of a young seagull who always thinks he is at the top of his game. Something always happens to show him that there is a higher level to be reached and new challenges to be explored. I am starting to see Clean Language in the same way as that book and the conclusion I have come to is that, no matter how good I get, there will always be another whole level to learn. 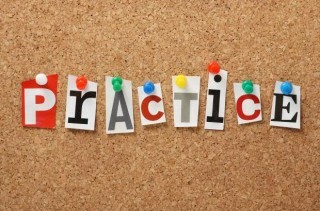 Practice may not make perfect but due diligence and deliberate practice can improve our skills. 4. How can I practise Clean Language? Obviously this question now becomes, “How can I deliberately practise Clean Language?” There are a number of ways we can all practise and get feedback. Sign up for Skype and Play (Pre-requisite of 2+ days of training in Clean Language required. Weekly – Monday 20:00-21:00 UK time or Thursday 16:00-17:00 UK time. Contact Sue Sharp at skypeandplay@gmail.com to join the invite list. Come to the 20th Anniversary Celebration of the London Clean Practice Group - If you want the ultimate experience of deliberate practice, go along to the 20th Anniversary Celebration of the London Clean Practice Group on the 13th November 2016 - and get a surprise gift on the day. Click here to find out more details and book your place. Use the comments section below to share how you practice Clean and how it has helped you. Or to let everyone know you will be at the anniversary event.